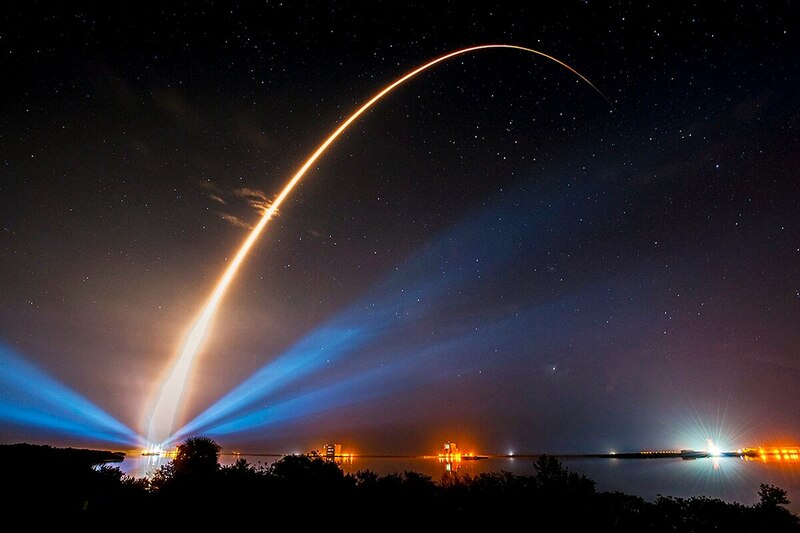 All five of the Navy’s next-generation, narrowband satellites, which provide communications services to ships on the move, are now on orbit. The program, known as the Mobile User Objective System (MUOS), cost $7.4 billion and, when fully operational, will provide smartphone-like capabilities to its users. This should be an era of smooth sailing for the Navy’s space program. But some questions remain. The terminals to make use of the satellites have been slow-going and forces have relied largely on the satellites’ legacy capabilities. In addition, a broader, Department of Defense-wide approach to space has raised questions about what the Navy’s next task on orbit will be. Rear Adm. Carl Chebi serves as the Program Executive Officer Command, Control, Communications, Computers and Intelligence (PEO C4I) and the Program Executive Officer Space Systems (PEO Space Systems). He spoke with C4ISRNET in May on what comes next. C4ISRNET: Let’s start with an overview of the latest with MUOS. REAR ADM. CARL CHEBI: We are planning on getting back into operational testing next summer. We’re working with the operational test force, with the fleet. I think we have a path toward getting into, and successfully through, operational test. Our ground sites are up and running. The fleet at the Navy, as well as the Air Force and Army, are in the [process of] procurement of radios to support the MUOS waveform. We’ll go into operational test in June or July of 2019. It will be four-to-six months after that, by the time the report actually comes out. C4ISRNET: On the ground side, that process has been a little slower than expected. How do you gauge progress? CHEBI: We’re not waiting for operational test to field this capability. We worked with U.S. Strategic Command to get Early Combatant Command Use, for training and testing only. You can imagine the Air Force, the Marine Corps, and especially the Army, are very interested in using this capability sooner rather than later. 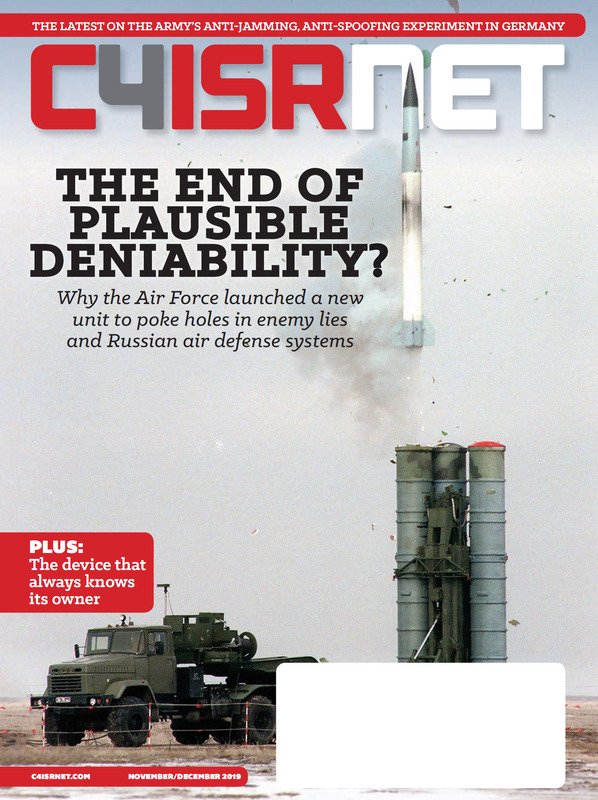 C4ISRNET: When you say the capability, does that mean using both payloads and not just the legacy payload? CHEBI: All five satellites are airborne; they’ve been accepted. We’ve been using a legacy payload to supplement our legacy [Ultra High Frequency Follow-On] satellite. I’m talking about the WCDMA capability. That’s a game changer from a data and a usability perspective and will make a big change definitely. Right now, we have Early Combatant Command Use for training and testing. We are waiting for Strategic Command to come back to us about expanding that to all users and outside contract users. I’m thinking within the next month or so we’ll have that approval to move forward. C4ISRNET: One of the things a lot of folks wonder is whether there is an appetite for additional MUOS satellites or whether you are studying the idea of additional satellites. CHEBI: With regards to what we are going to do to maintain this capability, that could be additional satellites … a different satellite … commercial use. We’re looking at all options right now. We’re also looking at what are our opportunities are today so we can extend the life of our constellation. No decision has been made on where we’re going to go in the future. We’re working right now to define what that timeline’s going to look like. C4ISRNET: Then the bigger question is: what’s the Navy’s role in space, now that all the MUOS satellites are up? CHEBI: When I think about space, I think about the capability space can provide from a communication perspective, an intelligence perspective, a weather perspective. And I’m trying to push our workforce, push the capabilities that we’re responsible for. Looking at all the other capabilities that are currently existent in space, how do I leverage those across the other domains? How do I take intelligence data from space and integrate it with the inter-warfare domain? That’s been one of my major focus areas toward the organization. Leveraging the existing capability and also being informed as new capabilities are fielded, whether it’s to the National Reconnaissance Office, or to the Air Force. How do we inform their requirements, so it meets our needs in the future? C4ISRNET: What are you doing now to better integrate some of that information? CHEBI: There are technical aspects, there are relationships. I was a fighter guy. If I had an air warfare capability gap, I would look at the aviation community only. That was my look at it. Today, from an aviation domain capability gap, we should be looking at what the surface force can provide to us, the sub-surface service can provide to us, and also what the space domain can provide to us. So, first it’s relationships and then there is a technical aspect. How do I get that information from a space domain into my aircraft, into my surface ship, into my submarine? Both of those answers are being looked at right now. We have a group that looks specifically at that. C4ISRNET: How do you think that’s going? CHEBI: The process I’m talking about is called the Naval Aviation Enterprise Capability-based Assessment Integrated Process. It is looking at system-of-systems capabilitites across domains and how we would address capability gaps. The program at PEO C4I and Space stood up around eight or nine months ago and continues to expand. I think we have good relationships with NAVAIR and NAVSEA, as we go forward with this. I think that they’re asking for this information. This information provides us with data analytics, so we can make informed investment decisions on how we close the capability gaps. C4ISRNET: Can you give me an example of a gap? CHEBI: If I have a long-range targeting problem in the aviation domain, how do I close that gap so I can launch my long-range weapon? Do I look in the aviation community with investment in the E-2D [Advanced Hawkeye platform], or the F/A-18 [Hornet jet], or do I look at what the submarine force can provide me, the surface force can provide me, or the space domain can provide me? I want to take in all the domains to close our capability gaps. C4ISRNET: And previously space wasn’t thought of, or it was thought of as later in the process? CHEBI: I would agree with that statement. One of our objectives with this whole process is that N2/N6 [the Deputy Chief of Naval Operations for Information Warfare] and N96 [the Director of Surface Warfare] and N98 [the Director of Air Warfare] are all talking to each other as you go forward with our investment decision. They are informed across all the domains. We’re starting to see that already today. The dialogue we’re having across the undersea warfare, the surface warfare, the aviation and space domains is improving each and every day. We do working groups and we include all of the stakeholders from all those domains in those working groups so that we’re better informed. C4ISRNET: What do improved relationships mean for the war fighter? CHEBI: I think it means better informed investment decisions up front and better integrated capability at the end. C4ISRNET: How do you manage the information assurance, or the cybersecurity risk of some of these systems? We’re seeing nearly every system, or every system that’s connected to the network, is now at risk. CHEBI: The overall cyber strategy is kind of a defense-in-depth strategy. So, keep them from getting into our networks, into our systems. And that is very powerful. We have a very good defense. Eventually they will get in. So how do we detect that they’re in? How do we limit their ability to move horizontally? And then how do we extract them as soon as we possibly can? We have multiple programs going after all those aspects, across our programs of record here. C4ISRNET: Cybersecurity specifically related to satellites has become a hotter topic in the last six-to-nine months, but have you gone back and taken additional steps to ensure nothing has been tweaked or tampered with? CHEBI: Across all our programs, we’re doing a hard look from a cyber posture perspective — including MUOS, including ground stations, including the terminals. C4ISRNET: Is this double-checking and making sure everything is as secure as possible? CHEBI: The cyber threat is a moving goalpost. This is not a one-time look, wondering ‘Are we good?’ Because there’s going to be a new threat. It’s a continuous process to look at what our cyber posture is, and where there’s room for improvement, where industry is going, what technology we can introduce from industry into our systems.